We are an organization representing Alberta’s natural gas co-operative utilities, municipal gas utilities, and First Nations gas utilities. Every one of our Member Utilities are owned or governed by their communities, making us truly Your Gas Utility. From our very beginnings to today, our focus is on neighbours. The attitude of our pioneers was they wanted to bring natural gas to not just themselves but for their neighbours. We continue with the belief that all Albertans should have access to natural gas, and we work with our communities and people to help us bring this service to the next neighbour. Neighbour helping neighbour has allowed us to build the world’s largest rural natural gas distribution system with 91% of Albertans using natural gas as their primary heating fuel! Our utilities criss-cross this province. We stretch from the northern reaches of the Peace River right down to the United States border (we even cross it at one point! ), and from the Saskatchewan border right to the foothills. 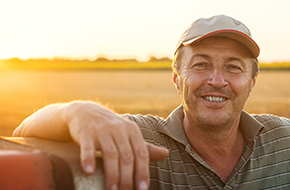 Our utilities serve family farms, bustling acreage subdivisions, towns and villages, well sites, large industries, and everything in between. The local utility employees construct the pipelines, install the meters, perform the billing, and everything in between. Our utilities are owned or governed by their own members. Neighbours set the rates, policies and governance for what’s best for their community. Municipal and First Nations utilities have departments that report to their elected councils. The gas co-ops are run by a board of directors elected from the community. Even if you don’t want to be on the local co-op board, members can still have their say at your co-ops Annual General Meeting. If you are interested in learning more about your local gas co-op, its board, and when it holds its Annual General Meeting, please go to Member Directory and Map to find the contact information for the gas utility in your area. The Federation of Alberta Gas Co-ops Ltd. office is based in Sherwood Park, AB. We are governed by an eight-member board of directors elected from each of our eight zones across Alberta. This board sets policies and implements strategies on behalf of our Member Utilities. The utilities attend the Federation’s Annual General Meeting to discuss matters important to the Federation as a whole. The Federation provides centralized services to our Member Utilities, such as: training, government relations, maintenance guidelines, insurance, employee and director benefits and pension, gas measurement, inspection of wholesale meters, odorant delivery, and retail billing to name a few. Training is an essential component to the Federation. The training courses offered through the Federation are designed to provide learning and development opportunities to our Member Utility employees and directors. Over the years the Federation has provided insurance to its members. In 2007, this became the FedGas Insurance Reciprocal Exchange Program (FIRE), which was created to maintain better control over our own insurance premiums. Our members have developed an Operations and Maintenance Guideline manual which sets out standards that our Member Utilities must follow in the operations of their utility. This manual is a living document with sections reviewed monthly to ensure it is kept up to date and often exceeds existing standards. The Federation has always provided comprehensive benefit and pension options for Member Utility employees and directors. In 2010, the pension program changed to the Alberta Communities Pension Plan, which is now available to all municipalities. The Federation offers retail billing services to natural gas utilities through a subsidiary company, Rural Utilities Billing Information System (RUBIS). RUBIS has 1 full time employee based in the Federation office. The Measurement Department at the Federation oversees inspections of the interconnections between supplier pipelines and the Member Utilities system. It also monitors the interconnections for emergency situations, and assists the Member Utilities field workers troubleshoot problems. The department also manages the installation of wireless meter reading devices. The Federation is the only organization accredited by Measurement Canada for re-certification of equipment in the field. 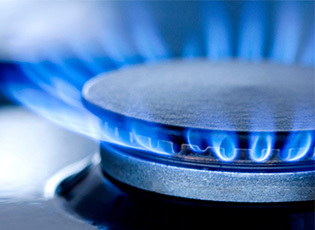 As natural gas is harmful but odorless, Mercaptan, better known as Odorant, is added to give natural gas its distinctive smell. Since the 1990's, three of our Member Utilities (Bow River Gas Co-op Ltd., East Smoky Gas Co-op Ltd., and Smoky Lake County) have been delivering Odorant to the rest of our Member Utilities. In 2011, this service became a Federation subsidiary called Alberta Odorant Services (AOS). The Federation is contracted by the Province of Alberta to administer the Rural Gas Grant. This grant provides funding to gas utilities to help keep the installation of gas services affordable for rural homes. Our partners include Gas Alberta Inc. and the government’s Rural Gas Program. Most Federation Member Utilities are shareholders in Gas Alberta Inc., a private corporation with the mandate to aggregate natural gas supply for resale back to its shareholders. The Rural Gas Program was started in 1973 by the Province of Alberta to help ensure Albertans could have access to natural gas.